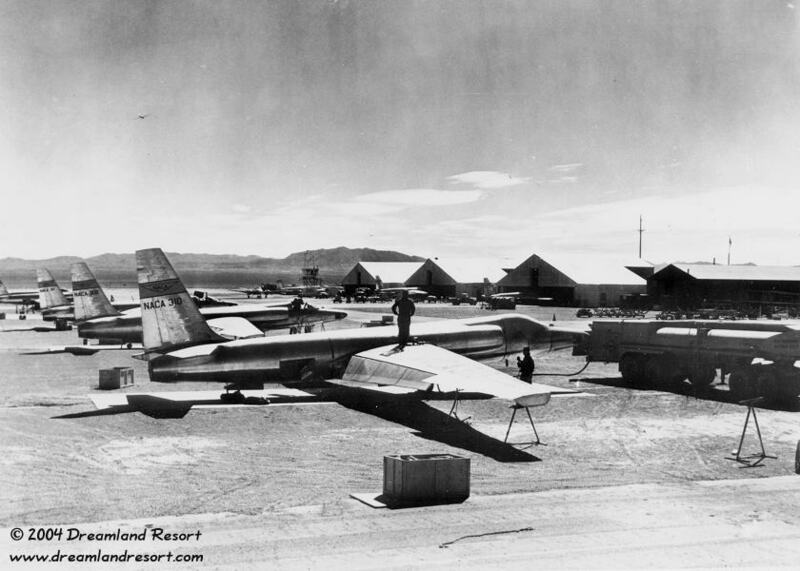 The airfield at Watertown, on the southwest corner of Groom Lake, as it appeared during the 1950s. U-2 aircraft were parked north of the hangars and west of the runway. With friendly permission by Peter Merlin.